Rafael Lozano, MD, MSc, is the Director of Health Systems and a Professor of Health Metrics Sciences at the Institute for Health Metrics and Evaluation (IHME) at the University of Washington. Dr. Lozano has been a leading contributor to health statistics, theory, and methods. He worked at the World Health Organization (WHO) in Geneva as Senior Epidemiologist for the Global Program on Evidence for Health Policy for three years. He is also a member of the National System of Researchers Level III (highest), and of the National Academy of Medicine of Mexico and of the Mexican Academy of Sciences. In 2015, he received the Medal of Health Merit from the Mexican Society of Public Health. In 2016 he was awarded the Health Award for Lifetime Achievement in Research by the Carlos Slim Foundation, and in 2017 he received the recognition of Researcher of Excellence in Medical and Health Sciences, by the Commission of the National Institutes of Health of the Ministry of Health in Mexico. Dr. Lozano has been instrumental in educating a new generation of public health practitioners and health system assessment experts over more than two decades of teaching both undergraduate and graduate courses. 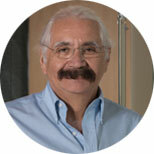 Dr. Lozano has also brought his wealth of experience to numerous expert and advisory groups, including the Core Group of the Global Burden of Disease 2010 study, the Technical Advisory Group for WHO’s Health Metrics Network, and the Pan American Health Organization’s Health Statistics Advisory Committee. He has advised numerous countries on health sector strengthening and burden of disease studies, including Mexico, Costa Rica, Ecuador, Brazil, Chile, Uruguay, Spain, and Colombia. Prior to joining IHME, Dr. Lozano worked as director of the Centre of Health Systems Research at the National Institute of Public Health (2013–2017) and at the Ministry of Health in Mexico as the General Director of Health Information (2001–2007), where he coordinated the Health Information System for the Ministry of Health and the production of national health statistics. Overseeing the health information system, Dr. Lozano played a critical role in the construction of Mexico’s health reform through a systematic approach to evidence building. Dr. Lozano holds an MD from Universidad Nacional Autonoma de Mexico and a Master’s in Social Medicine from Universidad Autonoma Metropolitana in Mexico. Blencowe H, Vos T, Lee ACC, Philips R, Lozano R, Alvarado MR, Cousens S, Lawn JE. Estimates of neonatal morbidities and disabilities at regional and global levels for 2010: introduction, methods overview, and relevant findings from the Global Burden of Disease Study. Pediatric Research. 2013 Dec; 74(S1). Ortblad KF, Lozano R, Murray CJL. The burden of HIV: insights from the Global Burden of Disease Study 2010. AIDS. 2013; 27:2003–2017. Lozano R, Gómez-Dantés H, Castro MV, Franco-Marina F, Santos Preciado JI. Progress on the Millennium Development Goals 4 and 5 in Mesoamerica. Salud Pública de México. 2011; 53 suppl 3:S295-S302. Lozano R, Goméz H, Lewis S. Tendencias del cáncer de Mama en América Latina y el Caribe. Salud Publica Mex. 2009; sup 2:5147-56. Bleich SN, Cutler DM, Adams AS, Lozano R, Murray CJL. Impact of insurance and supply of health professionals on coverage of hypertensive treatment: an analysis of Mexico: population based study. BMJ. 2007; 335:875-82. Lozano R. Franco-Marina F, Solis P. El peso de la enfermedad crónica en México. Salud Publica Mex. 2007; 49;E283-7. Gakidou E, Lozano R, Gonzalez-Pier E, Abbott-Klafter J, Barofsky JT, Bryson-Cahn C, Feehan DM, Lee DK, Hernandez-Llamas H, Murray CJL. Assessing the effect of the 2001-06 Mexican health reform: an interim report card. The Lancet. 2006 Nov 25; 368(9550):1920-35. Lozano R, Soliz P, Gakidou E, Abbott-Klafter J, Feehan D, Vidal C, Ortiz JP, Murray CJL. Benchmarking of performance of Mexican states with effective coverage. The Lancet. 2006; 368(9548):1729-41.